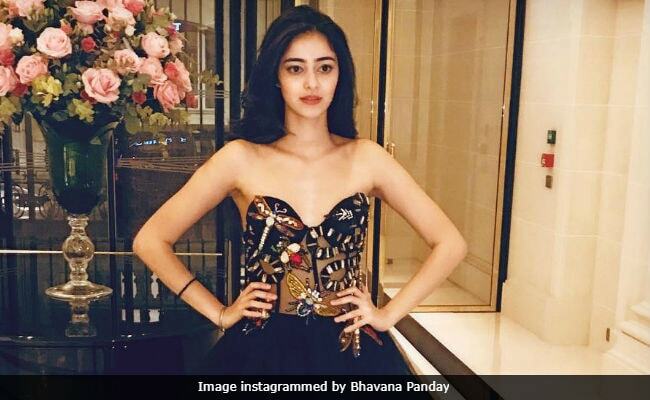 Ananya Panday's grand Le Bal night is almost here. The daughter of actor Chunky Panday is one of the many young ladies who will be present at the charity fashion event for the rich and the popular. Ananya Panday, 19, has been chosen from India along with Princess Gauravi Kumari of Jaipur for the event. Ananya and her family are already in Paris for the grand night, which has been scheduled for November 25 (later today in India). 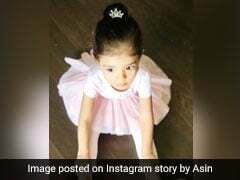 Bhavana Pandey shared a picture of Ananya all set for Waltz rehearsal in a tulle 'Firefly' dress by Abu Jani Sandeep Khosla. At the event, Chunky Panday will waltz with Ananya. Waltz Rehearsal Stunning in @khoslajani . Thank you . @abujanisandeepkhosla @saudamini08 @lebal.paris . Chunky Panday also shared this picture from outside Hotel Costes, in which Bhavana and Ananya's younger sister Rysa posed along with Ahaan Panday, who may be Ananya's chosen cavalier (as per Le Bal tradition) for the evening. Earlier, Bhavana Panday shared a picture of herself and Rysa at designer Jean-Paul Gaultier's atelier. The French designer is dressing up Ananya for Le Bal. "With the absolutely wonderful Jean-Paul Gaultier at his stunning atelier," Bhavana captioned the photo. Ananya was nowhere in sight - maybe busy with trials? Fitness instructor Deanne Panday (who is also Chunky Panday's sister) shared pictures of her son Ahaan trying his tailcoat suit for Le Bal - which have us the idea that he may be escorting Ananya to Le Bal. Back in Mumbai, Ananya's friend circle includes Shah Rukh Khan's daughter Suhana and Sanjay Kapoors daughter Shanaya. The trio, (sometime Ahaan included), is often spotted at events and outings. Ananya and Shanaya also accompany Suhana to the Alibaug parties with their parents.